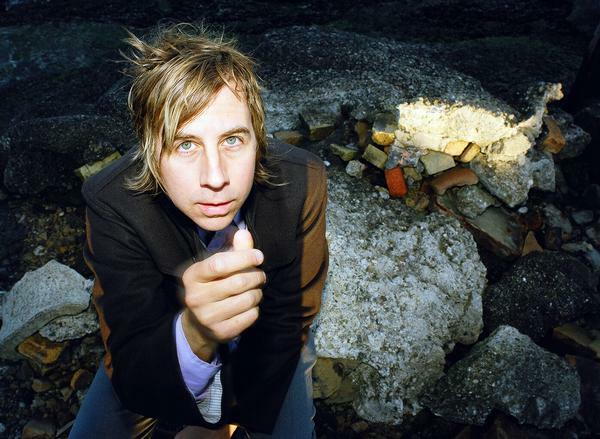 John Vanderslice is one of the most compelling figures in music today. His sonic gems provide lush orchestral landscapes inviting the listener to explore new ideas and possibilities. Referencing anyone from poets William Blake and Robert Lowell, to the modern films Donnie Darko and Mulholland Drive, his songs provide fodder for any imagination. SLUG managed to catch him with enough time to answer some of our questions. SLUG: When did MK ULTRA stop and John Vanderslice begin? JV: MK Ultra checked out in 1999 and I checked in, in 2000. MK Ultra was the band on my first record. I am still very close those guys and they were very important to my start as a solo musician. SLUG: How many JV records are there (list maybe)? SLUG: Do you feel that Pixel Revolt is different from the earlier records? JV : Maybe it's more patient, a softer sell … More cello, less distortion, way more harmonies, and way more personality. These changes aren't necessarily good or bad in my world view. SLUG: Tell me about your current band line-up. JV: Here's the lineup: This is a KILLER band; we've been in rehearsals all summer and can play almost all the new record and a fair share of the earlier ones. I love this band and hope to God they'll stay with me. SLUG: Where do you find inspiration for your writing? JV: One very strong cup of Irish breakfast-tea usually does it. SLUG: Tell us a little bit about Tiny Telephone[Recording Studio]. JV: Well, we're celebrating our eighth anniversary this year … [I] kind of can't believe that. We are pretty old school; we only provide analog recording equipment. People bring in workstations all the time, but I try to discourage it as much as I can. We've recently acquired a bunch of old Valco guitar amps from the 1950s. SLUG: What is your favorite food? Who are you listening to at the moment? JV: I eat a veggie burrito pretty much everyday. I am a simple person.